This year’s stewardship theme is a call to action to each of us as followers of Jesus. He showed us the way to live generously: by welcoming the outcast, by overturning the tables of the money changers in the temple, by dining with the poor and healing the sick, by teaching, by forgiving, and by ultimately giving his life so that all might have life abundant. ​We believe each of us is called to live generous lives and that such generous living can transform us and our faith communities. 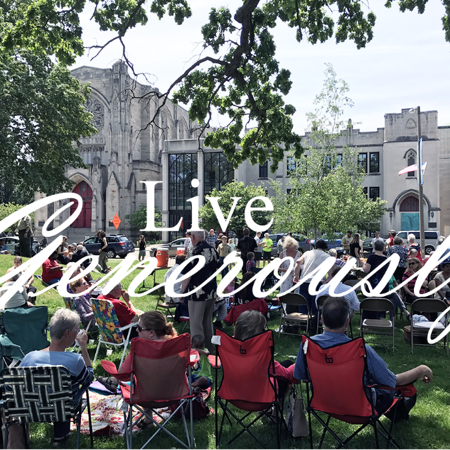 During the coming weeks, each member will receive information about the 2017 Stewardship Campaign, “Live Generously”.